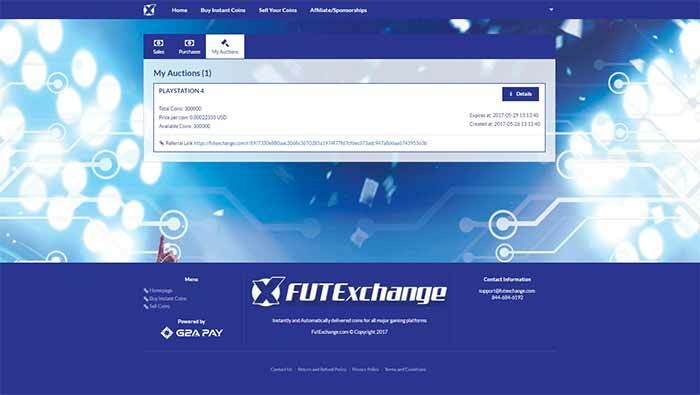 FUT Exchange is a service that allows you to buy and sell coins, which has been a real threat to the traditional coin sellers. 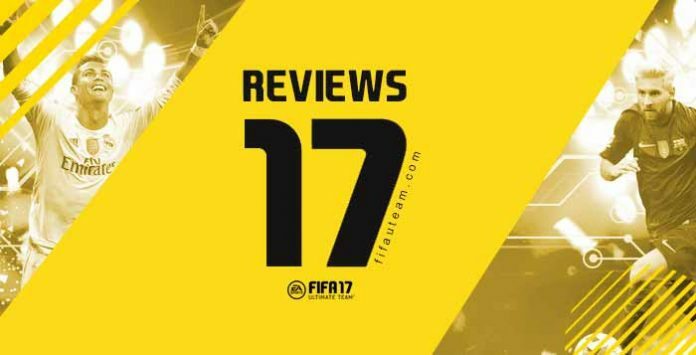 If you wish to know all about FUT Exchange, be sure to read our independent review, the only one you’ll find out there. 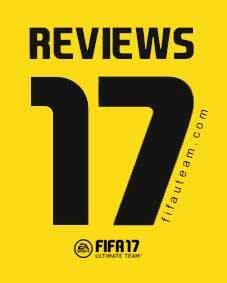 FIFA 17 Reviews is a space that we’re proud to present in our website. Although we do already undoubtedly provide the best FIFA Ultimate Team content around the internet, the truth is that part of the community will only reach out to the best gaming experience once they use some other tools as a complement to our website. Our main objective here is exactly to serve you, the community, and for that reason we’re starting these monthly reviews which will show you the newest products and services alongside unknown potential of the ones you already know. The FUT Exchange project came to light in May 2017, although it started being planned over a year before that. It consisted basically of the idea of allowing players to buy and sell coins amongst themselves, with no intervention by the habitual coin sellers. There, you can both auction your own coins and look for someone else’s coins to buy. Thanks to FUT Exchange, you can make some money out of those extra coins you have or buy the amount that you need in order to get the players you’ve always wanted. Alternatively, you may consult all the auctions available and decide which one you intend to go for. Not always the lowest price for each 10k coins is the one that interests you the most. 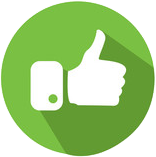 It can depend on your choice based on other variables, such as type of delivery, seller feedback, or the type of auction. If you’ve ever bought something on eBay, you won’t have a hard time using FUT Exchange. The process is simpler and you won’t have to compete directly against anyone since people aren’t allowed to place bids and you always buy at a fixed price. Selling coins is a strategy used by many players who intend to save money to buy packs or even the game itself at the beginning of the following year. Whatever your motives might be, you might as well do that on FUT Exchange. The process of monetising your coins is even simpler than the one you go through when buying. You just need to click ‘Sell’ and fill in a simple form. You must define the amount of coins you intend to sell, the price you want for them, for how long your auction will be active and which type of auction and type of delivery it will be. In this case you’ll face the concurrence from several other sellers that, like you, intend to receive the best price for their coins. In case you wish to accelerate the transaction, there’s a button that allows you to beat the whole concurrence by fixing your price as the lowest one amongst all the other active auctions. It’s undeniable that the most decisive factor whilst buying a product would be its price. There’s no running away from that fact. People who sign up to FUT Exchange have legit expectations on being able to buy coins at a lower price or sell them for a fair price. Fighting against the traditional coin sellers’ profit margins is one of the objectives the creator of this project had in mind. Effectively, when comparing the prices practiced at FUT Exchange with the most popular coin sellers’ price tables, we can see savings of up to 40%, still considering the 20% charged by the service in every transaction. There shall be an even bigger difference when this service gets more popular. This is expected because when you buy coins, supposedly hundreds of sellers are competing to offer you a lower price each time. Have you ever tried selling your coins to one of these coin-selling websites? The price they’ll pay you for them is three or four times lower than the actual market value. 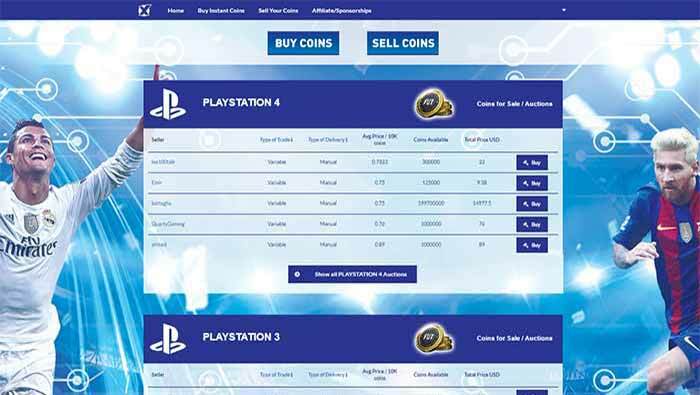 At FUT Exchange you’ll receive significantly more for the same amount of coins, because the only intermediary there is, the website itself, charges a much inferior percentage relatively to those practiced by the coin sellers. In case you’ve sold or bought coins through another service before, probably you went through a bit of a headache at some point. 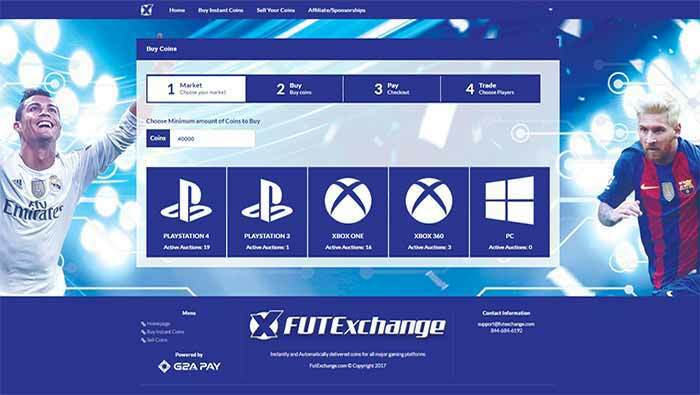 One of the biggest advantages FUT Exchange offers has to do with how easy it is to use their service. The website is pretty well designed, it’s intuitive and transactions can be made quickly. The variety of means of payment shows a good example of a service that clearly intends to keep it as simple as possible. You may pay, among other means, by PayPal, credit card, Skrill, Bit Coins, Multibank or even by bank transfer. Just so you’re not missing out on any details, the website provides you with a history of all your transactions and active auctions. Power of choice is always a virtue. In this service’s case, no matter if you’re the seller or the buyer, there’s flexibility in being able to make some decisions according to your preferences. There are two things that are especially useful: the type of auction and type of delivery. Regarding the first one, the seller may choose to sell his coins separately or only accept to sell the ‘whole package’ at a fixed price. The type of delivery can be manual, which involves the seller having to upload the proof of delivery; but it can also be automatically done by the ‘FUT Exchange Coin Auto Delivery System’. Until proved wrong, we have every motive to say that the service offers its users a high level of security. Firstly, the website is prepared so that every transaction occurs in an encrypted mode. Secondly, the creators of the service have a history of well built products in the sense of being able to avoid detection by EA. 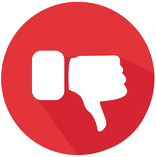 And finally, such as what happens on eBay and other popular services, the sellers are rated by the buyers, therefore when you’re looking for someone to buy coins from you’ll have access to their reputation. 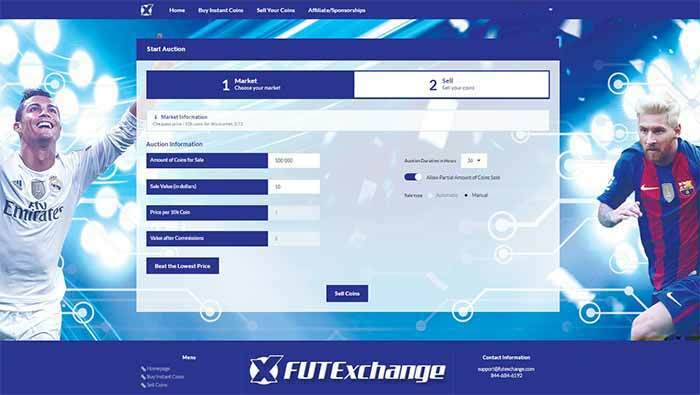 There’s also commitment by FUT Exchange as they have a team for the purpose of monitoring transactions. The only problem you might run into comes up when choosing the automatic delivery type. In this case the system does everything by itself but you have to give away your account information. It’s almost certain that you won’t have any sort of problems, but again, we did say almost. Selling and buying coins violates the game’s terms of service. By doing so you are not only compromising your account, but also having an advantage over players who don’t. A considerable part of the community condemns this type of behavior. They’re usually ‘honest’ players who work hard to earn their coins and build their squads. They feel as though it’s unfair that there are people who use money in order to skip the hard work but, opposingly, they don’t feel the same way about buying FIFA Points. We’ve always defended that buying and selling coins has no significant negative influence over the market’s regular behavior, and after all we do judge this practice as morally acceptable. We respect, however, people who don’t think the same way we do. This review was published shortly after the service had been made available. It is, therefore, natural that in this initial period users are still not in very high number. However, we couldn’t not point this out as a negative point. The thing is that without there being many sellers and buyers, prices are far from what we’d wish them to be, and in some cases there might not even be any auctions available at all, such as what happens with the current PC platform, one of the five there are. Although it’s obvious that the product being transacted are FIFA 17 coins, the truth is that the website at no point states that. It’d be good if, in the future, it could be technically possible to sell or buy coins from previous FIFA’s. There’s a 20% charge per transaction. FUT Exchange offers a sturdy, easy, quick, intuitive and apparently safe service for FIFA coin transactions. If you’re one of the coin sellers’ client, you should definitely try it sometime. The rating we’re giving them is harshly penalized by the scarse level of use the website is still going through. It may come to be an excellent service in the future, which, who knows, ends up destroying the coin sellers’ business, but at the moment it is no more than a project in its starting phase. Its success depends almost fully on the community’s adherence. After all, the more people use FUT Exchange, the cheaper coins will be. I already got REFUNDED 6 TIMES!! Cause all the auctions were FAKE. AND although i got REFUNDED every purchase costs around 1$ EACH for paying via PAYPAL. It was supposed to be free because Pay Pal has a buyer protection. Yes, they never reply your message. I’ve lost my coins from this site. I’ve forwarded all the email to you again. Here is the proof of the email I’ve forwarded you. They are scammers! Never get any response since I sent the transaction details to them. FIFAUTEAM should stop this ads immediately to avoid other players lose their money. Hi. This is something we are worried. Can you please forward the emails you sent? We will contact them directly to see what’s going on. What email should I forward to? I’ve forwarded all the email. Sorry, but we haven’t received any email from you. I will send it again now. Do you have other email I could send? Thank you. We received your emails and we already contacted them. We are waiting a reply. Glad to hear that, I’ve been waiting for their reply forever. We haven’t received any reply yet and to be honest we don’t know if we will. What do you still promote their page? Basically, because FUT Exchange is a good idea. A few years ago, it was possible to send coins to our friends. Then, they removed that option. With FUT Exchange that is possible again. You should tell other user FUTEXCHANGE is scammer too. This happened to us last year. We added a warning box on this page alerting that we would not recommend this service. However, they explained that the problem was the customer service that wasn’t fully operational. We don’t think they are scammers (they fixed all the issues with their clients). They are probably not completely ready to provide a fast help to customers. It has been weeks, if they’re not scammers, they should pay me way back earlier. I received today a reply from the development. I think they will reply to you in a few days. Still got nothing from them. We have contacted them today again. We expect a reply in 2 or 3 days. I even have tried to usen another email and forwarded all the email to them and they ask my details again, but I’ve already gave them the details, what kind of service are they? It is completely unacceptable. We have emailed you with their reply. We have emailed you with their reply. Did you get it? Hi. We have sent it now from another email. I got you email, but what does it going to help me? It is completely useless. Since you said they were not replying to you, we tried to get an answer. Clearly they are not solving my problem. Are you going to contact them again? 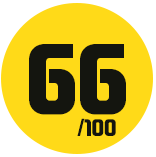 What this ads still here? They replied to our email. We are not your lawyers. If you feel you were penalized, then you should reply them. I have contact them millions time, and they never reply my email. They did to us. To be honest, as you know, it wasn’t easy to contact you. We did it several times until we had success. Are you trying to shirk responsibility to me? My email never have receiving problem before. Hi again. No, I’m not. However, you have to understand that it is an issue between you and them and we don’t have any way to confirm who is right. Besides that, we have no responsibility on this matter. We tried to help you because you asked us and we got a reply from them. What else do you need to prove they are scammer? My buyer has confirm the transaction is completed and they still don’t give me my money. Why don’t you contact them, replying to the email I sent you? I have contact them millions time. They never reply my email. totally a scam, I am a seller, I bought all the players the listed from the buyer. After I completed the whole transaction, I asked the buyer leave a comment that said we completed the transaction. The buyer followed my instruction, he commented the transaction is completed. Guess what. I received an email from the website and said Payment Refunded to Buyer. They said the transaction was not fully completed within 24 hours. I am sure the I completed the transaction within 24 hours. I got all the evidences! I have sent over 4 emails to them, and still haven’t heard anything from them. Can you please inform us which email you are using? Update: I got they email for asking more information for the transaction today. Update:they still haven’t replied me. Update: still haven’t heard anything back from them. Most likely, it will take a couple of days. Update: day 4, they still haven’t replied me. Update: day 5, still nothing happened. Oh, I got you now. I sent to [email protected]. BEWARE if you are a seller is a scam site. I sold 100k, provide proof of transaction with images but the buyer rejected the transaction, apparently they refund their money but I lost 100k coins and its been two days with any response from the support team of the site to dispute this outcome. I would NOT say this is a scam site as I recently tried to purchase coins here. Although in my situation the person selling the coins just never bought the players I listed for sale. However, if after 24 hours your players are not purchased. (which the seller has to provide proof via images that they purchased your players from you) or else you immediately are issued a refund by G2A. So I was issued a refund after 24 hours since they did not purchase my players and obviously did not provide proof. Therefore, blanket statements like this are just unnecessary and likely a competitor. Because sure an unbiased review would have included the same information I am sharing. So unless you didn’t get your money back all together, then you cannot accuse this site of being a scam site. I personally DID get refunded automatically. I am going to try again with a different seller. I will continue to revise this update based on my experience moving forward. I have an update to my previous comments. So on my third attempt I can confirm that the site is NOT a scam. On my second purchase the same thing happened and my players were not purchased by the person who listed the coins for sale. Apparently, these people are banned from selling on the site once they have 3 purchases they fail to follow through on. I am on XBOX so I decided one last time to purchase coins. I went through the list and looked at the sellers’ history. Unfortunately, there is not much info for any of the sellers’ history, however, there is one number that will show you if they have sold before. Under sales you can see if they have actually completed sales transaction in the past. I decided to pay a few dollars more for 150k coins roughly $15 instead of $13 because I noticed the seller already had 3 other completed sales. In this case, my players were purchased within 24 hours and the coins added to my account. No problems with EA either since I followed the rules and I only sold GOLD players. Therefore in the future, I will wait to make sure I am buying coins from someone who has prior sales to ensure I am not wasting time. Again, the main point is I can confirm this is NOT a scam site they just need to do a better job holding sellers accountable for their listings. At the end of the day, if there is no proof of your players being purchased, you will get your money back so no harm no foul. The worst case scenario is you have to try a few times to finally get coins…but the low price for coins is well worth the wait considering you will pay 4-5 times more for coins on other sites and have a much greater chance at getting flagged by EA. This is a scam site. Beware!!! Can you please justify your comment? Thank you.